Portable and rugged unit is ideal for field work (netbook recommended!). The Classic Benchtop Wireless fluorometer is designed for use on a flat surface, and can also be used in the field. The water resistant sensor design enables convenient measurement of wet material including aquatic plants, algae and wet leaves. The small size of the fluorometer (1.8″diameter, 2.4″ long), and its 12-24V capability makes it easy to use in the field. On commencing measurements, one establishes a suitable gain setting with a sample leaf and a zero offset value in air or water. Chlorophyll-containing samples are then simply placed over the sampling window for single or repeated measurements. 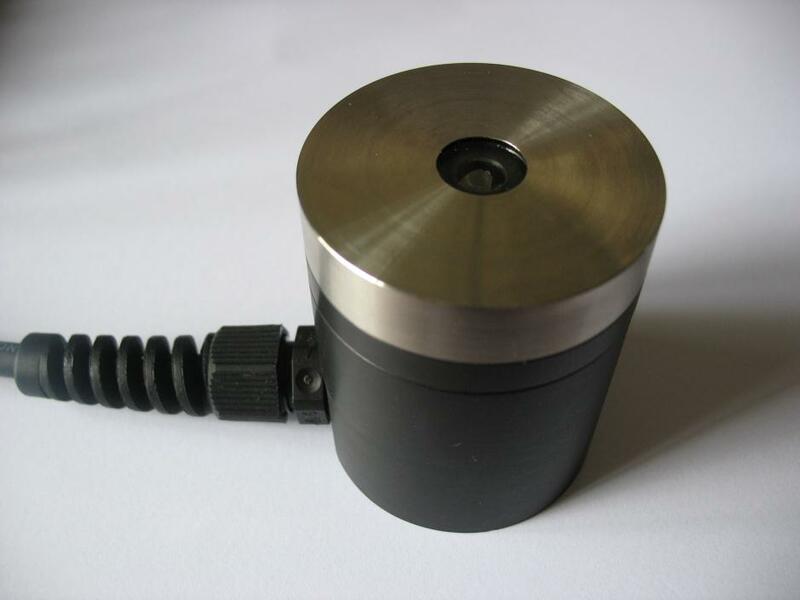 An optional clear light pipe extension enables measurement of samples 0.5m from the sensor; this is particularly useful for long term measurements where shading of the sample must be avoided. 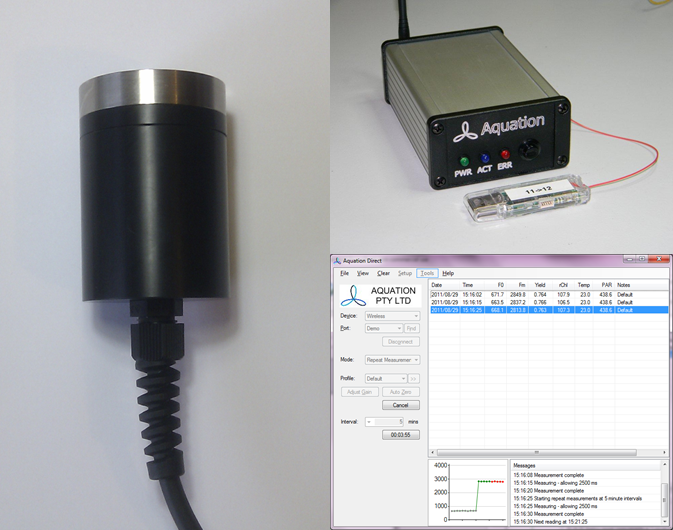 The Classic Benchtop Wireless fluorometer is designed to be operated from a PC (Windows XP and later). A small transceiver plugs into the computer USB port. The interface enclosure receives the signal from up to 40 m away. This enables the computer to be located separately from the sensor, for example in a dry part of a greenhouse. Both power and the fluorescence sensor are connected to the interface enclosure. All items are contained in a lightweight carry case that is small enough to fit in a shoulder bag.